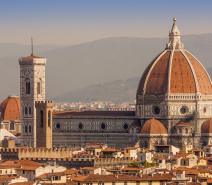 Academya Lingue organises many extracurricular activities during which the students will have the opportunity to continue practising their Italian. The recreational activities include – always with the presence of one of the school’s teachers – cooking lessons with tasting events, lunches, aperitivi and dinners in traditional Bolognese restaurants, wine tastings in selected wine bars; walks around the town discovering the “canal tours”, “portico tours”, “tower tours”, “ musical tours”, “parks and gardens tours”; visiting local companies, symbols of Italian excellency in the food and wine industries (Parmigiano Reggiano, aceto balsamico, prosciutto crudo and other sweetmeats, fresh pasta, artisan gelato, etc.) and in the motoring industries (Ferrari, Lamborghini, Maserati, Ducati, etc. ), and in other activities that each time we will propose to students. We’ll visit this beautiful town of ours together, seat of the most ancient university in the world. We’ll stroll down its tiny streets to the discovery of its most suggestive corners – of which the renewed Mercato di Mezzo . and we’ll have an aperitivo in the oldest tavern in Bologna, the Osteria del Sole (1465). of our historical centre – one of Europe’s best preserved – living its welcoming and vibrant atmosphere. We’ll round up our stroll in one of the most famous ice-cream parlours tasting the pleasure of an authentic Italian gelato. Plunged in the marvellous hills around Bologna, in the splendid scenery which is the medieval hamlet of Ca’ Bianca (Borgo Medievale Ca’ Bianca), we will learn how to prepare the famous (and delicious!) MADE FROM SCRATCH PASTA ourselves. The lesson will round up with the tasting of fresh pasta (accompanied by a good glass of local wine, a homemade pudding and a pleasant coffee) in the beautiful adjacent parkland. Wine and local produce tasting from the surrounding territory in a famous Bolognese bar, accompanied by the descriptions and stories of the products themselves. In the beautiful setting of the Mattuiani terrace of the Touring Hotel – in Bologna’s historical centre – we’ll taste lots of Italian delicacies accompanied by some pleasant background music while – before us – the town and its hillsides will change their evening colours to those of night time. We’ll spend some hours together in our beautiful city park – thus called in honour of Queen Margherita – eating, singing, dancing and practicing the “bella lingua”. The owner of one of the most ancient bakeries in Bologna will tell us about his family history and of the art of baking which he has always done, driven by passion. He’ll show us the procedures and the machinery used to make fresh bread every day and he’ll guide us through the tasting of some local products. We’ll have lunch together in one of the most famous taverns in Bologna, tasting some typical dishes of our area (Lasagne, ragù Tagliatelle, Tortellini, etc.) with some traditional Bolognese canapés, a good glass of wine and, of course, the unavoidable caffè espresso. It will give us a great chance to get to know more about Bologna’s culinary traditions and to speak Italian. We’ll spend a pleasant evening dining together and tasting some typical dishes of our area (Lasagne, Ragù Tagliatelle, Tortellini served in broth, etc.) with a good glass of wine. It’s a great chance to immerse yourself in the culinary traditions of Bologna and to speak Italian. We’ll spend a pleasant evening dining together enjoying a fantastic pizza and a good glass of wine. We’ll also have the chance to taste the famous tigelle/crescentine/piadine served with a range of sweetmeats and cheeses. It will be a marvellous occasion to explore the different flavours of the Italian cuisine. The quintessential city park since 1875 – the Giardini Margherita – every May plays host to the splendid flower show “Giardini & terrazzi, Garden Show and Mostra Mercato”. We’ll visit this beautiful yearly show which hosts marvellous plant and flower exhibitions, with home and garden furnishings, carpentry, antiques, clothes, herbal medicine, publishing and also lots of different kiosks that serve local, regional and national wine and food products. Every year, in April and in September, the beautiful Piazza Minghetti (right opposite the school) hosts “Bologna in Fiore”, one of the most appreciated flower shows in Italy. We’ll have a pleasant stroll amongst the sweet-scented flowers and elegant plants, and we’ll also have a break in the exhibition areas which are dedicated to quality food and craftsmanship, with a selection of the best food and wine products deriving from various parts of the country. Together we’ll celebrate the beginning of the summer season with a splendid party in the marvellous setting of the terrace of the Touring Hotel, in the historical centre of Bologna. We’ll taste lots of Italian delicacies accompanied by some pleasant background music while – before us – the town and its hillsides will change their evening colours to those of night time. We’ll spend some hours together in the distinguishing café on the lake in the beautiful setting of our most famous city park tasting delicacies prepared by the local eateries. 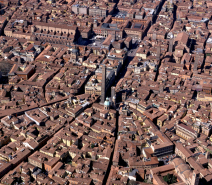 It will give us the golden chance to learn more deeply about Bologna’s traditions and to speak Italian. spectacular view of the so-called “little Venice”, the inspiring Canale delle Moline with its characteristic colourful buildings that rise up from the canal. We’ll conclude our walk in one of the most traditional taverns of the Jewish ghetto, tasting typical products of the Bologna cuisine. 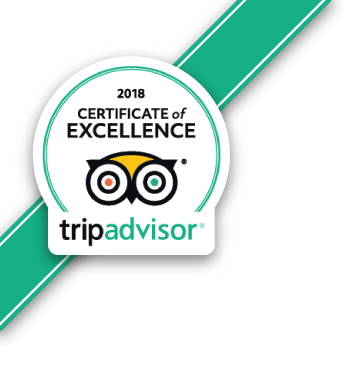 We’ll spend some hours together in one of the most characteristic restaurants of the area close to the two towers known as the “Jewish ghetto”. The area of the ghetto was that between Via Zamboni (which today is the centre of the university quarter) and Via Oberdan (a diagonal street of the central Via Rizzoli) and it offers many interesting perspectives especially in Via dell’Inferno, the main street of the ghetto where the old synagogue was located (the synagogue is now located in Via de Gombruti, in the south-western part of the historical centre, near the medieval Via Barberia) and in Via Valdonica, where we can find the Jewish Museum. Together we’ll visit the enchanting Villa Ghigi and its splendid park – one of the biggest and most pleasant in town – situated in a small and secluded valley, not fsr from the historical centre. The park has an expanse of around 30 hectares in the hills and has beautiful views over Bologna. We’ll visit together the enchanting Villa Spada (which contains the Tapestry Museum) and its park, a typical example of an Italianate garden. The villa is separated from the nearby Villa delle Rose only by an access road to a Franciscan nunnery. Villa delle Rose rises up within a splendid two-hectare park, at the foot of Colle della Guardia. Inside the park, other than the villa, there is a primary school and an old people’s home for artists. From the park you can enjoy a very nice view of the first part of the up ward long portico, which rises towards San Luca. Together we’ll eat some traditional Bolognese delicacies in one of the town’s most typical cafés and, later on, we’ll enjoy a concert of famous arias from Italian operas (played alongside various images of Bologna and its artistic and cultural beauties) in the beautiful Sala della Music (Music Room) of the Basilica of San Petronio. Together we’ll visit the religious complex founded in 610 by Pietro I, bishop of Bologna, disciple of the monk Columban. 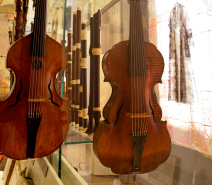 Considered as a true artistic gem, San Colombano hosts an extraordinary collection of ancient musical instruments. After the visit we’ll eat some traditional Bolognese delicacies in one of our beautiful town’s typical restaurants. We’ll eat some traditional Bolognese delicacies together in one of the most typical restaurants in town and later on we’ll enjoy watching a fantastic film in Piazza Maggiore in occasion of the “Sotto le Stelle del Cinema” festival, a cinema festival that lasts around 2 months (between about the 15th of June to the 15th of August) with an incredibly rich programme, submitted by the Cineteca of Bologna (the Bologna film library). We will visit the Modern and Contemporary Art Museum of Bologna (MAMbo – Museo Arte Moderna Bologna) which, with its 9.500 sqm dedicated to visual and experimental culture, represents a prestigious critical laboratory and production centre of interdisciplinary contemporary culture. patrimony, guaranteed by restorations, new acquisitions, donations and loans – it continues to be the object of research and development. After the visit we’ll stop at the museum’s coffee shop to taste some traditional Bolognese delicacies and to practice our Italian. In our beautiful town, water has always played an important role which conditioned its existential rhythms, landscapes, jobs, civilizations and city planning. With an expert guide we’ll discover how all this happened and how it developed through time. Gardens and greenery are a mirror into the lifestyles of the people who enjoy them. Accompanied by an expert guide, we’ll discover the history of the town’s garden-living through a visit to some of the secret and hidden gardens of the historical centre of Bologna. We’ll have a pleasant and interesting walk in the area around the Towers which is known as “the Jewish ghetto” and from there we’ll reach the famous tiny window of Via Piella. There we’ll be able to admire the spectacular view of the so-called “little Venice”, the inspiring Canale delle Moline with its characteristic colourful buildings that rise up from the canal. We’ll conclude our walk in one of the most traditional taverns of the Jewish ghetto. The MAST Foundation is an international, cultural and philanthropic institution, based on Technology, Art and Innovation. Together we’ll visit its exhibition spaces, created to favour the development of creativity and entrepreneurship amongst the younger generations. We’ll finish our tour with an aperitivo and dinner in one of the famous restaurants in the area.